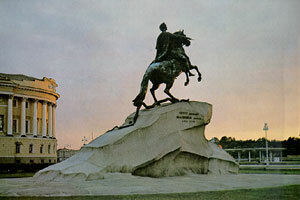 Bronze Horseman, monument to Peter the Great. 1768 - 82. Sculptors E. Falconet, M. Collot. Architect Yu. Felten.